Ms.Aadya requested this hat yesterday,for her to wear to the Teddy Bear picnic at School today.She lovedddddddd it..and didn’t take it off all day. 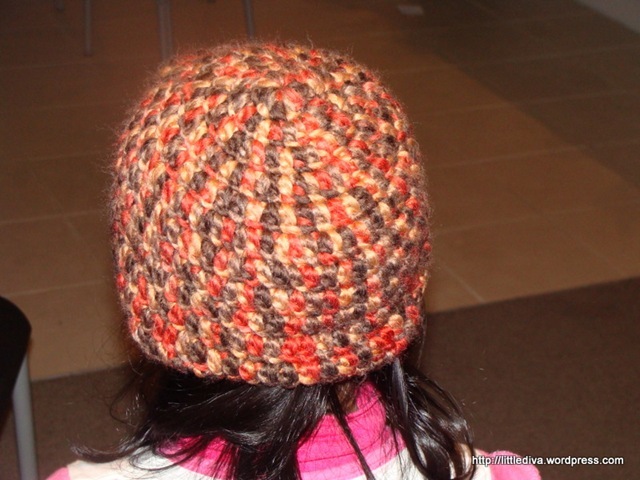 She picked out a fancy yarn,from my yarn chest and asked me if I could please make a hat for her,that would cover her ears.This is what I love about being able to knit/crochet-I can make things as I like and don’t have to settle for something,I don’t like. This beanie is slightly longer than most,just because,I needed it to cover her ears..we are so done,with ear-infections. Ch4,sl st to form ring. Ch2,10 Dc in the ring. Ch2,2 Dc in each each DC,all around. Ch2,DC on each DC all around- 3 more times,till you get the desired height. Ch1,Sc all around.finish and weave in ends. 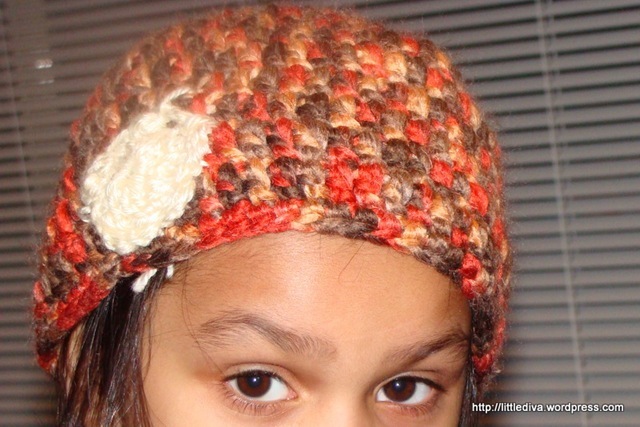 Decorate with a motiff of your choice.I used this tutorial from Applehead’s blog. 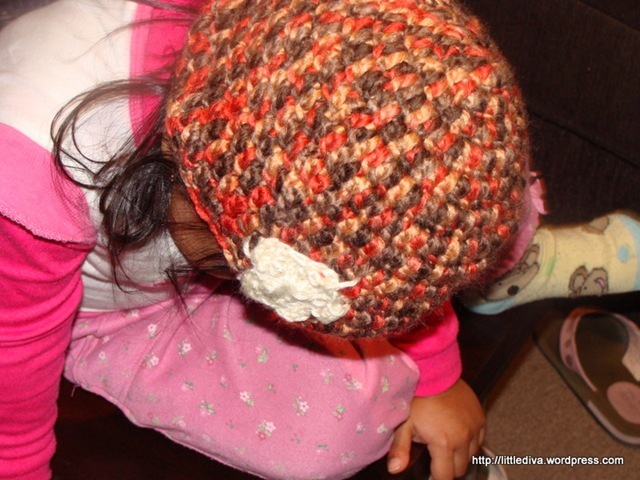 I wasn’t very sure about using this color for a kids beanie..but I like the way,its come out! BTW,just 5 more days left for you to leave a comment on the giveaway post..Have you left a comment yet? Go on,leave a comment on the giveaway post,NOW! Have a good weekend,my lovelies..